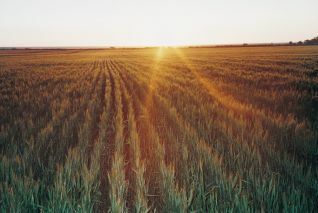 South Australia's production of non-genetically modified grain is sustainable, entirely rain fed with no irrigation, and minimal inputs of fertilisers and chemicals. Around 4 million hectares of crop are grown each year with the southern regions producing wheat, barley, canola, oats, lentils, peas, beans, lupins, chick peas, fodder, lucerne seed and other small seeds. In 2017-18 the South Australian grains industry contributed almost $4.2 billion to gross food revenue. The Grains key messages and fast facts (PDF 249.1 KB) provides comprehensive messaging, including fast facts, about the grains industry to help gain an understanding of it in South Australia, including production and farm gate value. This report provides detailed information on the grains sector, its annual performance and current investment opportunities.